X-rays use invisible electromagnetic energy beams to produce images of internal tissues, bones, and organs on film. X-rays are made by using external radiation to produce images of the body, its organs, and other internal structures for diagnostic purposes. X-rays pass through body tissues onto specially-treated plates (similar to camera film) and a “negative” type picture is made. Fluoroscopy is a study of moving body structures — similar to an X-ray “movie.” A continuous X-ray beam is passed through the body part being examined, and is transmitted to a TV-like monitor so that the body part and its motion can be seen in detail. In barium X-rays, fluoroscopy allows the radiologist to see the movement of the barium through the pharynx and esophagus as a person drinks. A barium swallow is a radiographic (X-ray) examination of the upper gastrointestinal (GI) tract, specifically the pharynx (back of mouth and throat) and the esophagus (a hollow tube of muscle extending from below the tongue to the stomach). The pharynx and esophagus are made visible on X-ray film by a liquid suspension called barium sulfate (barium). Barium highlights certain areas in the body to create a clearer picture. A barium swallow may be performed separately or as part of an upper gastrointestinal (UGI) series, which evaluates the esophagus, stomach, and duodenum (first part of the small intestine). 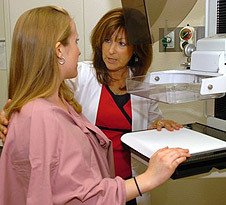 Fluoroscopy is often used during a barium swallow. An upper gastrointestinal series (UGI) is a radiographic (X-ray) examination of the upper gastrointestinal (GI) tract. The esophagus, stomach, and duodenum (first part of the small intestine) are made visible on X-ray film by a liquid suspension. This liquid suspension may be barium or a water-soluble contrast such as GastrografinTM. If only the pharynx (back of mouth and throat) and esophagus (a hollow tube of muscle extending from below the tongue to the stomach) are examined with barium, the procedure is called a barium swallow. If the water-soluble contrast is used, the procedure is called a Gastrografin swallow.Fluoroscopy is often used during an upper GI series.